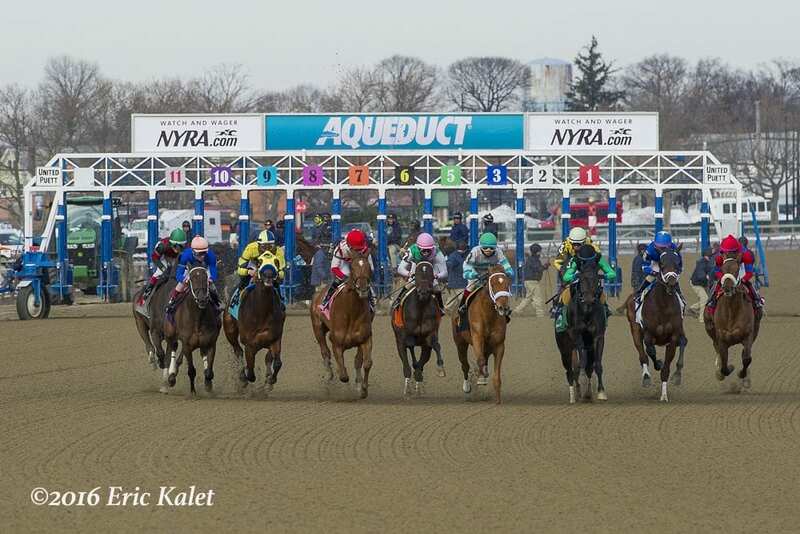 The New York Racing Association Inc. (NYRA) announced Tuesday that the 60-day Aqueduct winter meet, which ran from December 7, 2018 to March 31 generated all-sources handle of $335,521,091, a 14.2 percent increase over the same period in 2017-18. Originally scheduled for 63 days of live racing, adverse weather conditions forced the full cancellation of three days of live racing on January 21, January 24 and January 31. In addition, the final three races of the January 10 card were cancelled due to weather. On-track handle was $40,881,947, a 20.1 percent increase over the corresponding dates in 2017-18, which included 53 days of live racing and 10 weather-related cancellations. Average daily handle over the course of the 60 days of live racing was $5,592,018, a 1 percent increase over 2018. The 12-day Aqueduct spring meet begins on Friday with the Grade 3, $150,000 Distaff as the opening day feature. The meet is highlighted by the 95th running of the Grade 2, $750,000 Wood Memorial presented by NYRA Bets on Saturday, April 6. The Wood Memorial, the final New York prep in the “Road to the Kentucky Derby” series, is the centerpiece of a card that includes the 119th running of the Grade 1, $400,000 Carter Handicap; the Grade 2, $300,000 Gazelle; the Grade 3, $250,000 Bay Shore; and the Grade 3, $150,000 Excelsior for older horses at 1 1/8 miles. The Wood Memorial will be part of a live national broadcast on NBCSN from 5:30-7:30 p.m. ET scheduled to include the Grade 2 Blue Grass at Keeneland and the Grade 1 Santa Anita Derby at Santa Anita Park. Prior to the NBCSN broadcast, national coverage and analysis of the major Wood Day stakes can be found on FS2 with regional coverage in the tri-state area on MSG+. For additional information, and the complete Aqueduct spring stakes schedule, please visit NYRA.com.